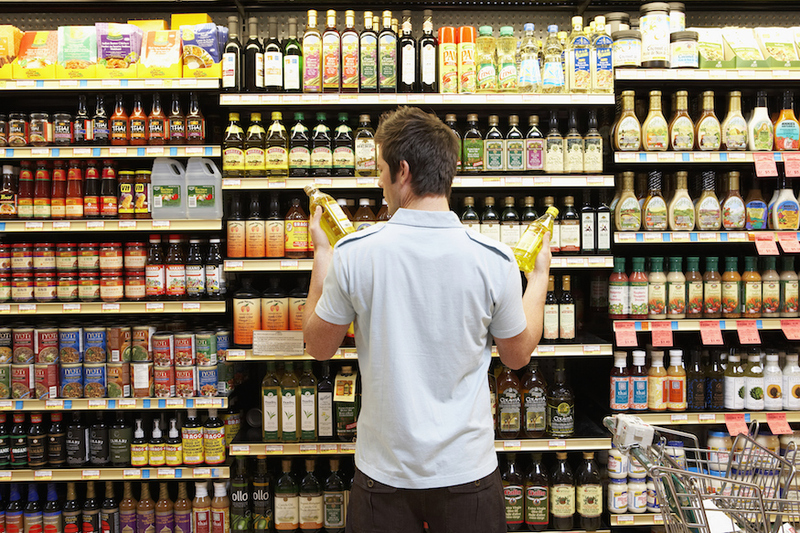 Color can affect your mood, what you think of a new brand, and even influence your buying choices. Getting the color right in your designs is crucial if you want to convey the right message. As a designer, it is essential to know when to use RGB or CMYK. 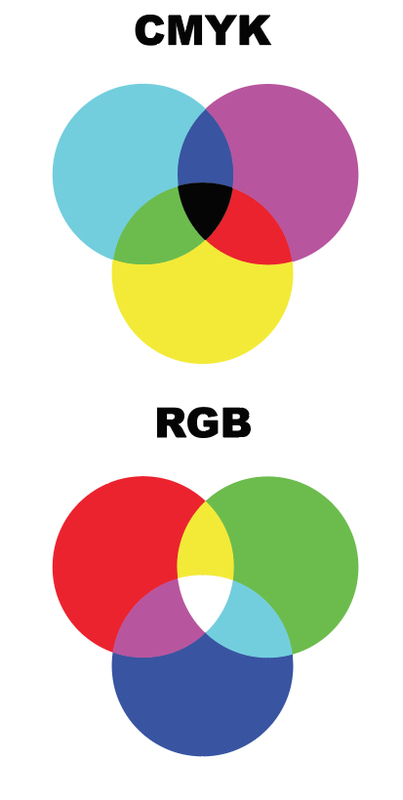 One of the most confusing aspects of web-based graphic design is the difference between RGB and CMYK color modes. A basic rule to remember is anything dealing with the web should always be in RGB and print should be in CMYK. Why is this the standard you ask? Back in the early printing press days, to achieve color, each ink, cyan, magenta, yellow and black had its own plate. First, the printer would lay down one color, wait for it to dry, lay down another color, wait for it to dry and so on. Printing presses still work on that same theory to this day. As the printing age has progressed, the digital printer has come a long way, allowing to print in RGB as well. But the standard still stays the same – use CMYK on all printing needs, as the color will appear differently if printed in RGB. 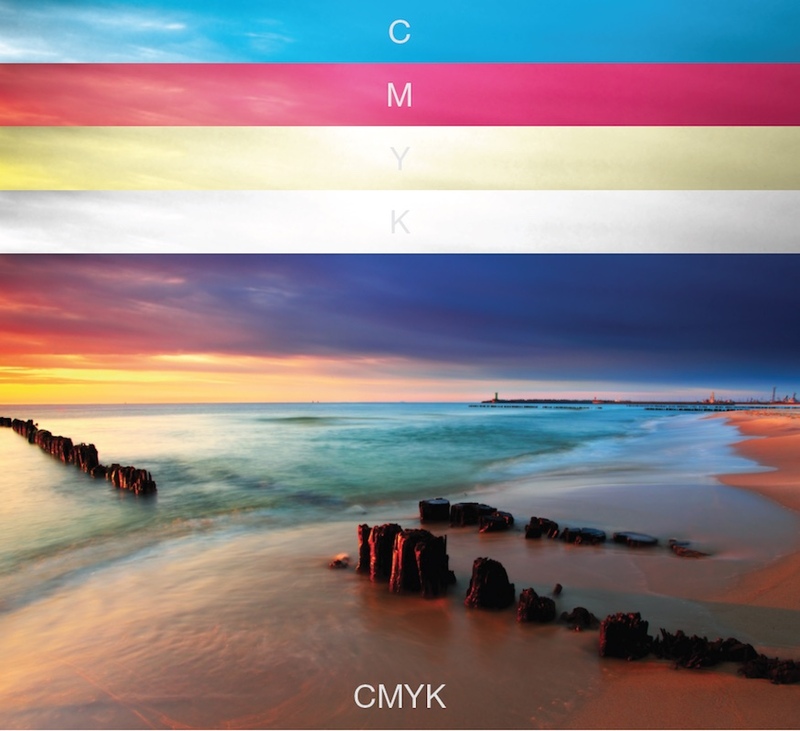 CMYK stands for Cyan, Magenta, Yellow, Key (Black) and is a subtractive color model. A subtractive color model works exactly opposite from an additive color model (RGB,) it works by partially or entirely masking certain colors from white. In the printing press days when plates were being used the black plate was typically called the “key” plate because it carried the important key information relating to the artistic detail. 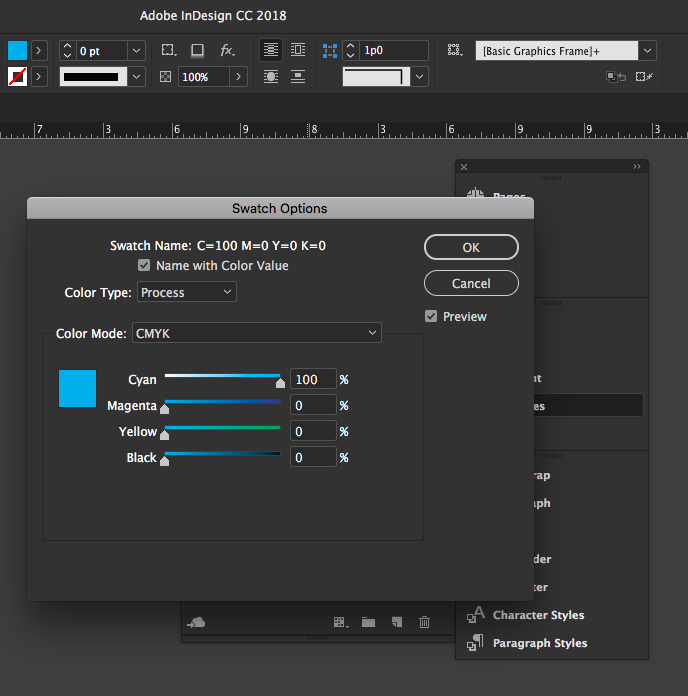 It is important to make sure you know if you are working in RGB or CMYK in the application your working in (most common) Photoshop, InDesign, and Illustrator. First, open the file in Illustrator. After you’ve done so, click File, then select Document Color Mode. Next, select all the objects in the document. Next, go to Edit -> Edit Colors, and select the color space you would like to convert to. Learn how to animate vector graphics from Adobe Illustrator in Adobe AfterEffects. You can change individual attributes of a swatch by using the Swatch Options dialog box. 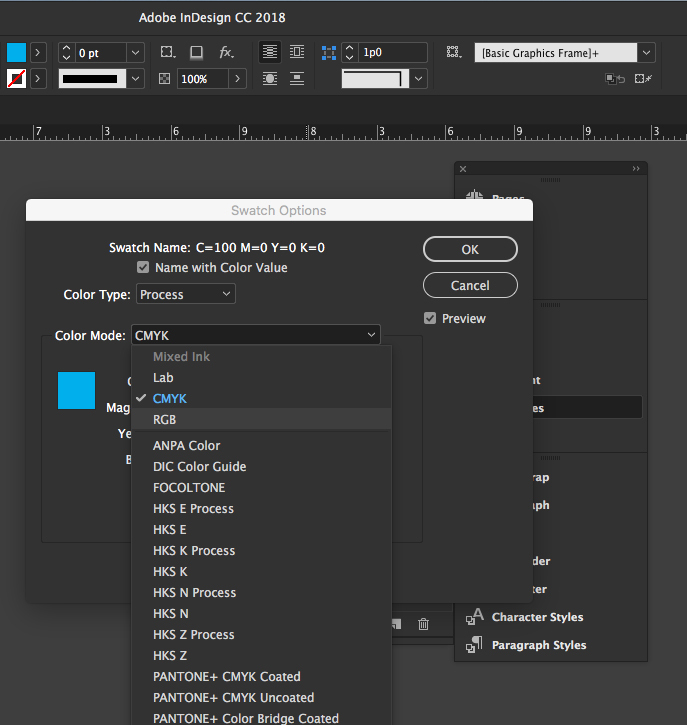 Additional options are available when editing mixed ink swatches and mixed ink groups. In the Swatches panel, select a swatch, and do one of the following: Double-click the swatch. Choose Swatch Options in the Swatches panel menu. Adjust settings as desired, and click OK. 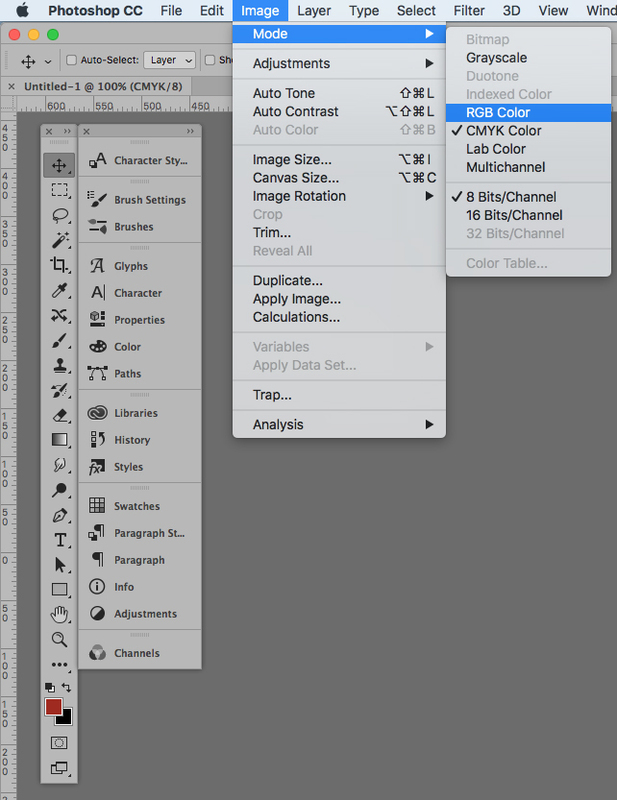 In Adobe Photoshop, select Image on the menu bar and select Mode> and you will see your color mode options appear. 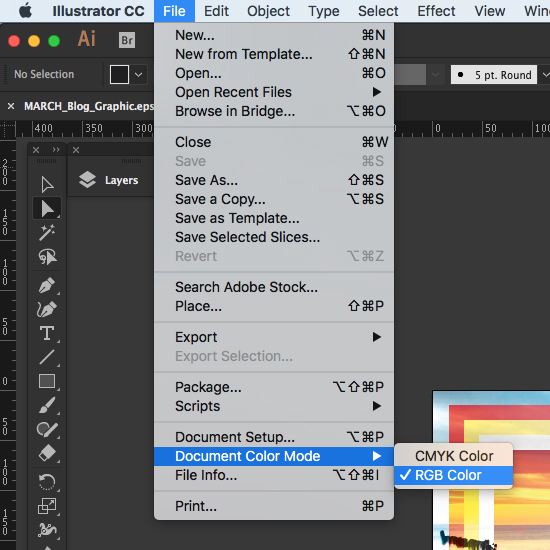 Here you can select your file color mode to CMYK Color or RGB Color. Select desired color mode, and click OK. 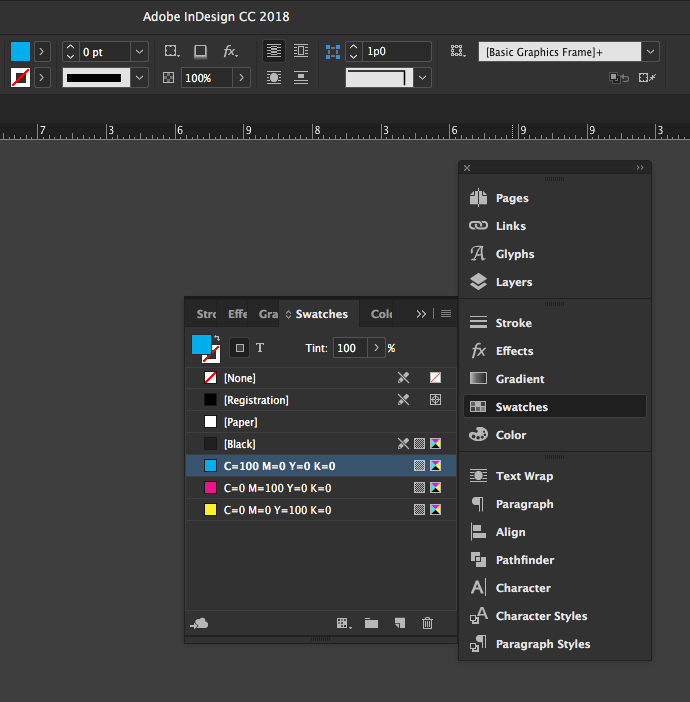 Learn 10 of Our Favorite Keyboard Shortcuts for Adobe Photoshop. When it comes to deciding to use RGB or CMYK color modes, first figure out what the output will be. If the output will only be used on the web then RGB is the way to go. If your project is going to be used for print only, CMYK is the standard and the best option. If you’ve created your designs in the RGB color mode, you need to remember to convert your design to CMYK before sending it off to the printer. That’s all there is to it when it comes to using RGB or CMYK on your projects. Either way, it never hurts to consult your printing company before your project hits the press. Most printers will be happy to give you design advice and although may charge a small fee for the service, it can save you from a costly mistake.